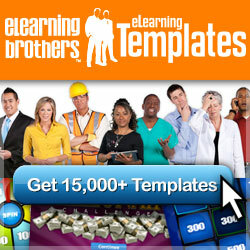 I’m an Instructional Designer specialising in elearning design and development. I’ve been in the learning and development field for over 15 years in various roles including primary school teacher, workplace trainer, learning and development advisor, and instructional designer. I’ve produced elearning and instructional design for a wide range of audiences including government, corporate, and tertiary educational institutions. I’m passionate about constantly improving my practice and want to share what I have learnt along the way. This blog is a place where I can share my work, and reflect on how to make a difference with well designed elearning. 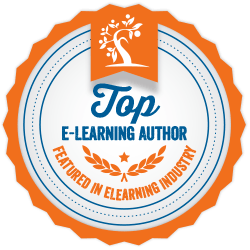 Welcome to my elearning journey! Thanks for the support with the return follow! I hope we can curate, collaborate, and change something together soon! Let me know if I can add value to something you are working on. Sounds great Dave, it’s nice to meet you, I’m sure we’ll have lots to share, discuss and collaborate on in the future 🙂 I’ll be visiting your blog regularly too! Hi Lorraine, Just from glancing through the topics here on your blog, I think you and I will have a lot to talk about. It looks like you and I have followed a similar ISD path and could probably trade a lot of war stories. Thanks for sharing your knowledge with everyone else! Hi Anna, thanks for reaching out, I’m always happy to share stories.